The Commander 3000, 4000 and 4500 units are rapidly proving themselves. 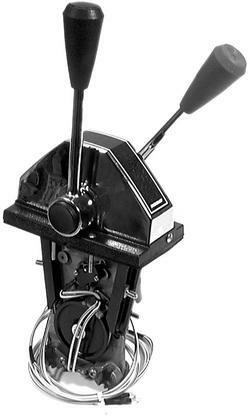 Models come in top mount, side mount and panel mount. 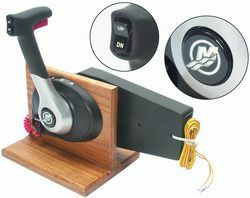 Controls can be purchased with or without trim controls. the matching Gen II Control Cables. 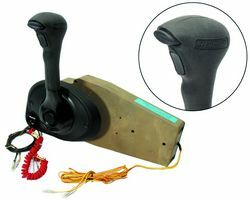 the new style 4500 Remote Controls. NOTICE OF CHANGE. This item is no longer sold. 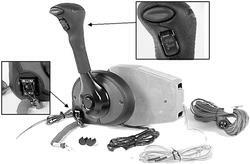 Instead, order 883711A14 Remote Control for $ 343.25. 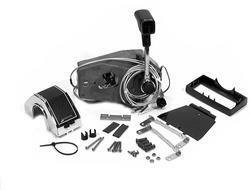 Fits Mercruiser and 3.4L Outboards. 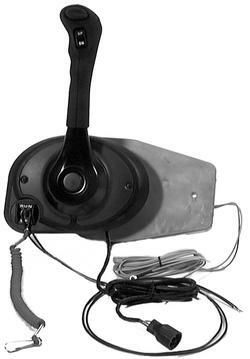 Used for Mercury outboards with trim. NOTICE OF CHANGE: This item is no longer sold. 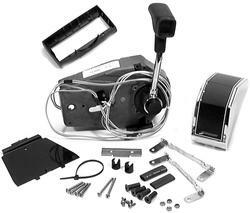 Used with MCM Mercruiser Engines with trim. 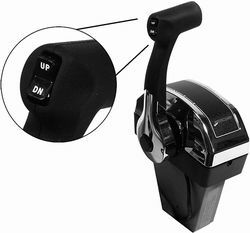 Includes in-gear starter protection switch. 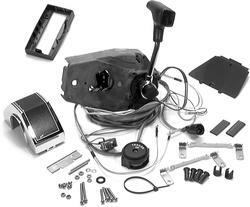 Fits current Mercury / Mariner Outboards. 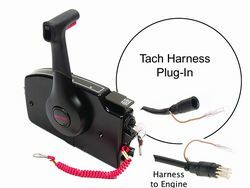 Includes 4 ft trim harness w/ 4 pin Moelx connector. 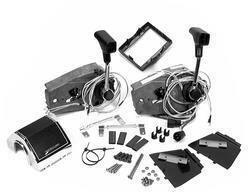 Fits MIE inboards and outboards with no power trim. 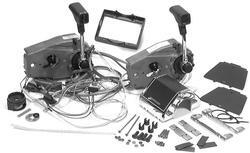 Fits current MCM and Mercury 3.4L outboards with external trim cylinders. Includes 4 ft trim harness w/ 4 pin Molex connector. alarm horn and safety laynard. Fits current Mercury and Mariner's. 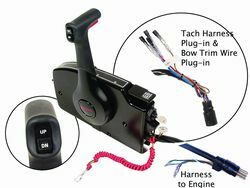 Includes 15' Harness, Key switch and Safety Lanyard. (except 20 ands 25 hp). (20 and 25 hp ONLY). Includes 4 ft trim harness. Includes 20 ft trim harness. Fits MCM and MIE Mercruisers and 3.4L OB. Also fits 1992 and older Force. 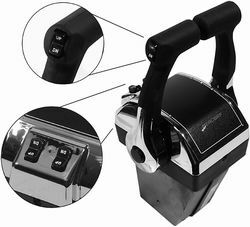 Handles pull out for nuetral throttle advance. Will not fit Mercury Style Cables.